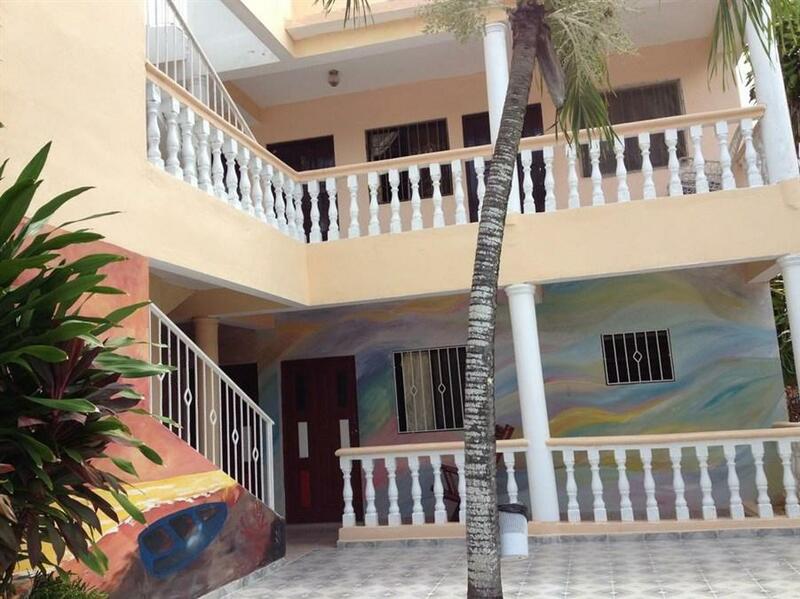 ﻿ Best Price on Hotel El Caucho in Boca Chica + Reviews! Hotel El Caucho is just a 5-minute walk from Boca Chica Beach, and offers an outdoor pool, sun terrace and bar. Each air-conditioned room features free Wi-Fi and views of the town. Decorated in bright tropical colours, rooms at Hotel El Caucho offer cable TV, a safe and a fan. All rooms include a private bathroom with a shower. Bars and restaurants can be found within a 2-minute walk in central Boca Chica. The nearby beach is ideal for watersports, including windsurfing, diving, and snorkelling. Las Americas International Airport is a 15-minute drive from El Caucho, while central Santo Domingo is a 20-minute drive away. Free public parking is available on site.